Chakalaka is a vegetable relish some don’t like it spicy but for me it is a big must. Great accompaniment to pap(maize porridge like polenta). Best with a braai, lamb chops or boerewors. Even on toast it is great. The first time I encountered this vegetable relish I was working in a factory that produced 5 tons of salad a day. We must have made close to 300kg of the chakalaka at a time. This dish is about happiness, lots of happiness. Colourful and spicy and goes with everything. Recipes differ but most contain a mixture of cooked fine diced or grated carrot, onion, peppers , beans with some curry spices and garlic, ginger and chilli. We add tomato or tomato paste. Some recipes tend to be oily but that is personal personal choice! 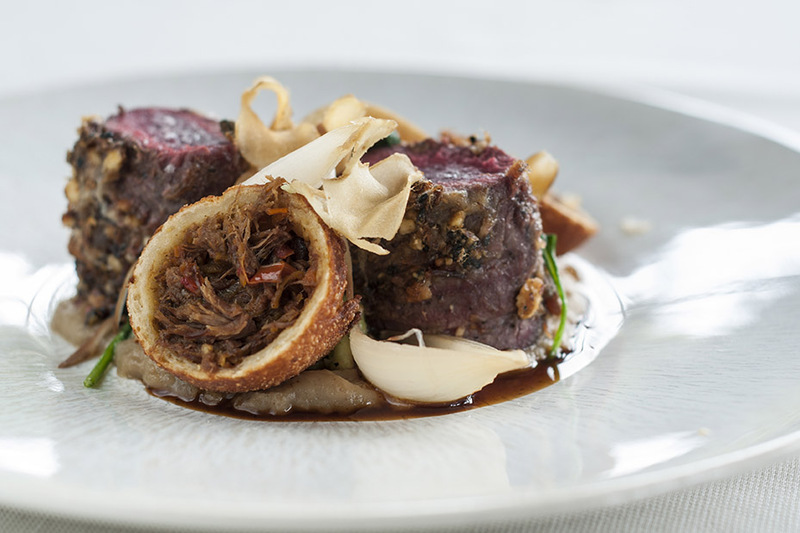 In the photo above we do a springbok loin, with Jerusalem artichoke puree and a springbok shoulder croquette with chakalaka. Add carrots cook gently add tomato paste.